Oscar Pérez, the most veteran player in Liga MX, saved the day for Pachuca and eliminated his former team from the competition. Scoring a late goal to save the day has become Oscar Pérez's specialty...even at 44 years of age! Pachuca will make it to a fifth FIFA Club World Cup after winning against Tigres, but they have the opposing goalkeeper to thank. The partnership between CONCACAF and Twitter includes the live broadcast of the final and knockout stage matches from the CONCACAF U-17 Chaampionship. Yes, you read it well. Pachuca vs Tigres UANL will be available for streaming live on Twitter on Wednesday, April 26 as both teams fight to lay their hands on the 2016/17 CONCACAF Champions League trophy. Two Mexican outfits, Pachuca and Tigres,, will face each other in the final of the CONCACAF Champions League. The finals of this year's CONCACAF Champions League will be between Pachuca and the winner of the Vancouver vs Tigres match. Los Tuzos salieron airosos en su visita a Costa Rica. ¿Lograrán los ticos sorprender al veloz cuadro hidalguense? Tijuana, Pachuca y Tigres se perfilan para ocupar las posiciones de privilegio, mientras Chivas, América y Necaxa pelean por la cuarta plaza de cara a la liguilla. Solo quedan tres jornada en el torneo regular de la Liga MX. Algunos equipos ya dijeron adiós a sus posibilidades de calificar, mientras otros ya solo están esperando resultados para acomodarse de cara a la liguilla. 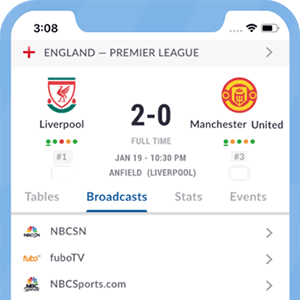 A total of seven games will also be available on NBCDeportes.com digital platforms.